On Wednesday, the dead body of a 61-year-old man was discovered on the runway of Coleman A. 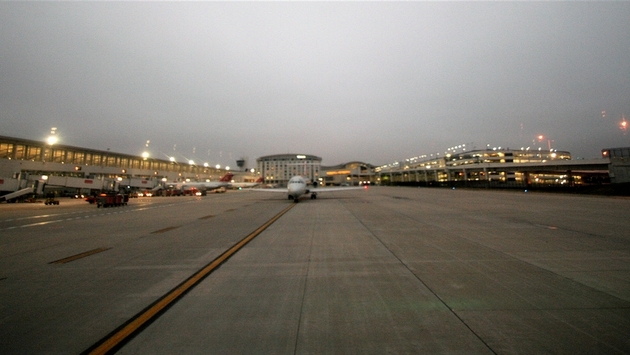 Young International Airport in Detroit. According to Fox Detroit, officials from the Detroit Police Department are investigating the death of a man who was found on the runway of the Detroit airport after being spotted by an air traffic controller. Security officers at the facility were called to investigate the object on the runway and discovered the man’s dead body. Police have not identified the man but said he may have been on the runway for “six or seven hours” before being discovered. An autopsy was performed Thursday, but a cause of death has not yet been determined, according to the Detroit Free Press. Police have confirmed that the man did not work for the airport and they do not suspect foul play. It is unclear on how the man got onto the runway in the first place, but they believe he could have jumped a fence on the perimeter of the property. Investigators will watch surveillance tapes to find out how the man got on the runway, and the airport will have to upgrade its security to avoid any kind of similar incident.